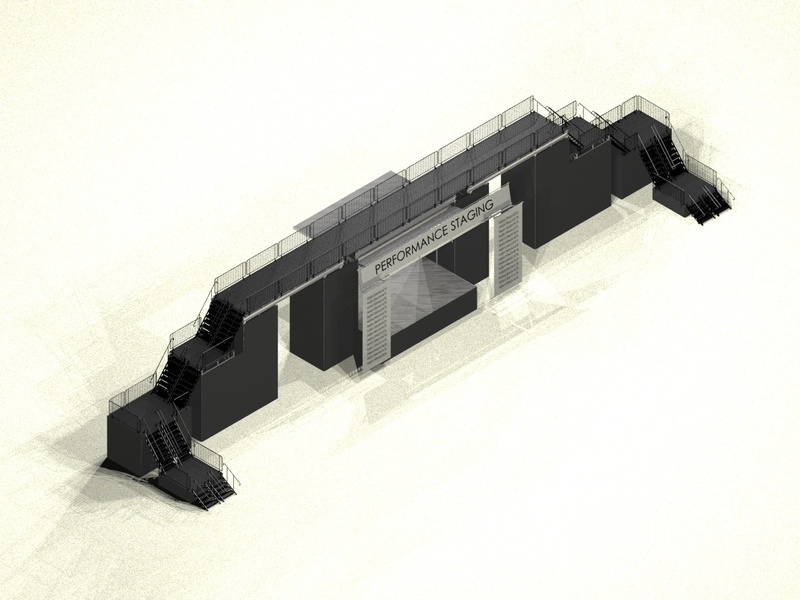 Next up in our series of fantasy stage rental builds is an EDM stage with integrated VIP decks. Who regularly breaks the fourth wall and not only allows, but invites fans up on stage? EDM, that's who. From go-go dancers and fire dancers to stilt walkers and people just feeling the vibe, nothing says "I'm enjoying myself" more than fans on, or above the stage.